Moda Kids Magazine is geared towards kid's fashion and features child models from around the world. It has an added bonus of delivering a message to kids and parents about creating and living a healthy lifestyle by infusing education, health, culture, and society into their everyday lives. 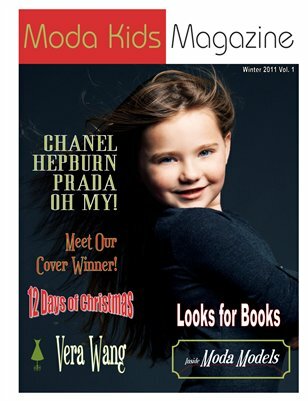 Moda Kids Magazine is a division of Moda Munchkin: Boutique modeling for children and adults. Moda Munchkin is in the credentialing process to become a fully-licensed model and talent agency. Moda Munchkin has over 250 active children listed, many of which can be found gracing the pages of Moda Kids Magazine.